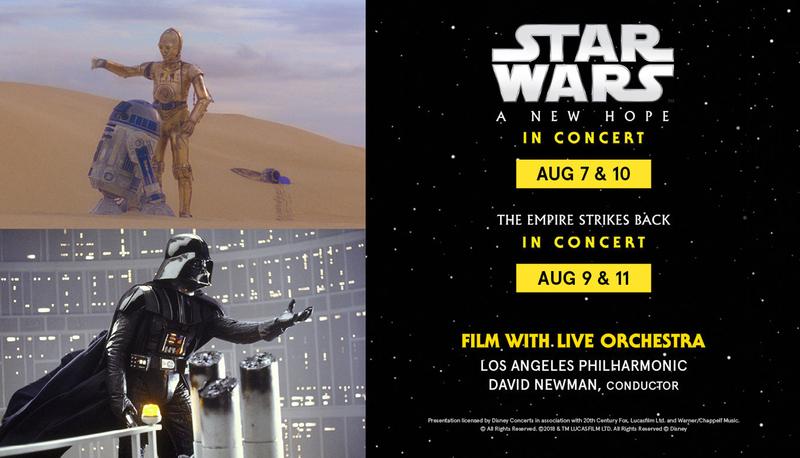 The Los Angeles Philharmonic will present screenings of the complete films in HD on the Hollywood Bowl’s big screen “A New Hope” and “The Empire Strikes Back” with Oscar® -winning composer John Williams’ score performed live to the film. The concerts will be conducted by David Newman. Newman is an Oscar®-nominated composer (“Anastasia”) scoring over 110 films and is a highly sought-after conductor leading orchestras throughout the world including the New York Philharmonic, Los Angeles Philharmonic, Royal Harmonic Orchestra, Deutsches Symphonie-Orchester Berlin, the Schleswig-Holstein Festival Orchestra, San Diego Symphony, Boston Symphony Orchestra, Philadelphia Orchestra, and the Cleveland Orchestra. John Williams is well known for scoring all eight of the Star Wars saga films, beginning with 1977’s Star Wars (A New Hope) for which he earned an Academy Award® for Best Original Score. Most recently, his scores for Star Wars: The Last Jedi and Star Wars: The Force Awakens were nominated for an Oscar. 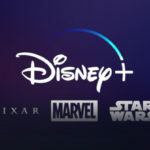 The Star Wars Film Concert Series is produced under license by Disney Concerts, the concert production and licensing division of Disney Music Group, the music arm of The Walt Disney Company. 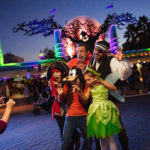 Disney Concerts currently licenses a variety of concert packages including, “Beauty and the Beast,” “The Little Mermaid,” “Fantasia,” “Pixar In Concert,” “Frozen,” “Ratatouille,” “The Pirates of the Caribbean” series (episodes I-IV), and “Silly Symphonies,” which last year accounted for over 400 performances in some of the world’s top venues, including, Lincoln Center, Royal Albert Hall, Sydney Opera House, Tokyo Forum and the Hollywood Bowl.